FORM2000 has invested in modern equipment from leading hardware insertion machinery manufacturer, Haegar. The introduction of automated processes to assist fastener insertion for sheet metal fabrication – from nuts, studs, and standoffs to panel fasteners and flush nuts - reduces set-up time, eliminates bottlenecks, increases productivity and ensures consistent, reliable quality. Sheet metal production bottlenecks are also eliminated as the machinery technology works in sequence with other FORM2000 advanced fabricating machines to deliver production efficiency. 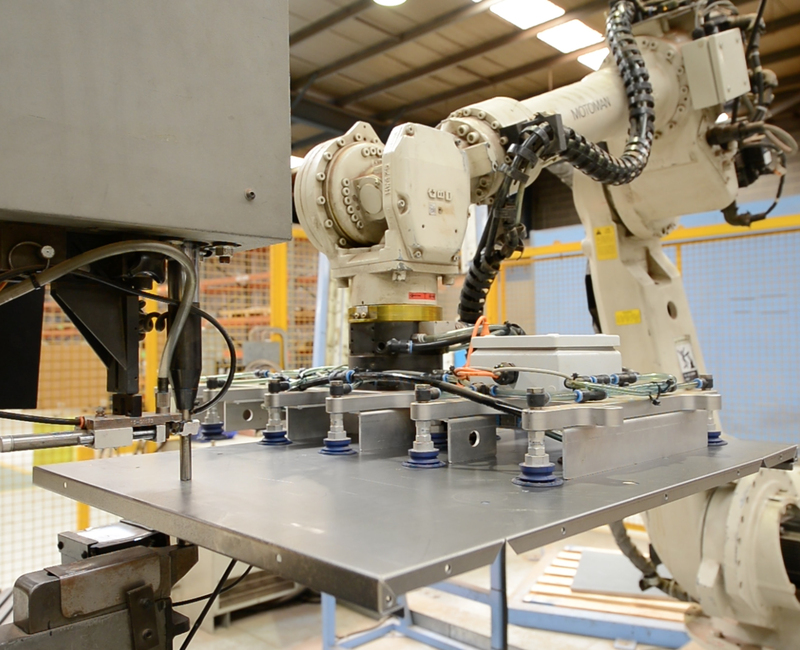 Our Haeger Robotic Insertion and Embossing Cell, featuring a 6 tonne capacity and a 460mm throat depth, caters for a large range of fasteners. The Haegar Captive Fastener Insertion Press includes an autofeed feature, enabling the system to automatically orientate and singulate fasteners without having to change the autofeed bowl. The autofeed units provide fast and easy tooling change-over, allow for a much faster insertion of captive fasteners.